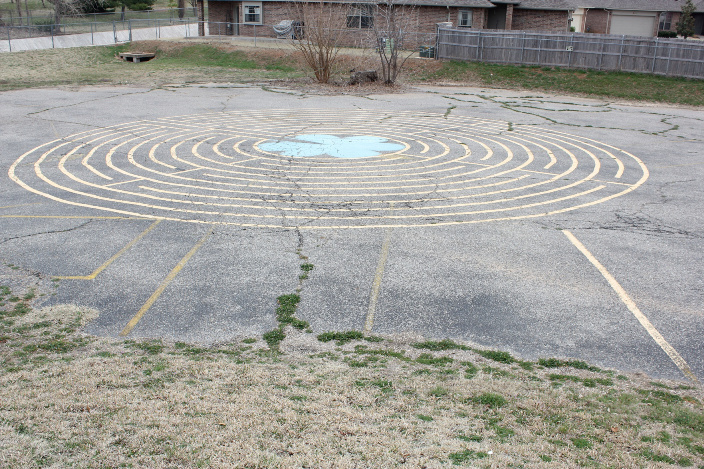 Come experience our labyrinth. The labyrinth is a pattern, usually a large circle, with a single winding, circuitous path that you walk to the center, and then walk the same path back out. It has been an ancient tool for prayer, reflection, contemplation, meditation, problem solving, personal growth, celebration, and fun. Often a labyrinth walk is seen as a metaphor, or a symbol, for the journey of life. A labyrinth is not a maze. A labyrinth has only one well-defined path with no dead ends or tricks. You can’t get lost in a labyrinth!